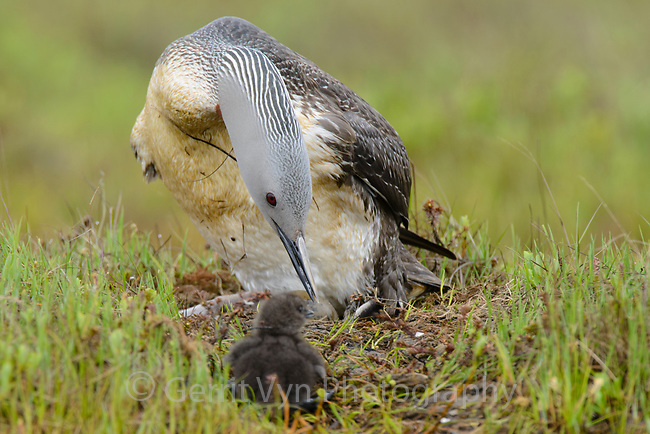 Red-throated Loon (Gavia stellata) and newly hatched chick at the nest. One unhatched egg sits in front of the adult. Yukon Delta National Wildlife Refuge, Alaska. July.